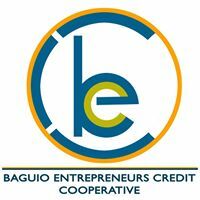 The Baguio Entrepreneurs Credit Cooperative (BEC Coop) will hold its sixth (6th) General Assembly for its members on March 23, 2019 Saturday from 8:00 a.m. to 12:00 noon at the YMCA Function Hall, Post Office Loop, Session Road, Baguio City. Registration starts at 8:00 am. 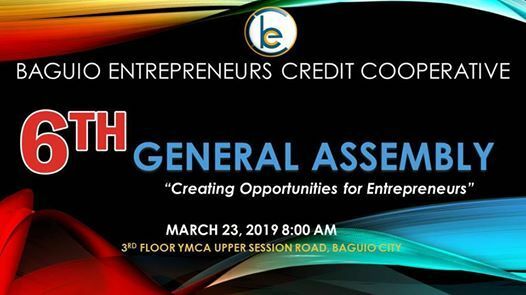 All members are encouraged to attend. 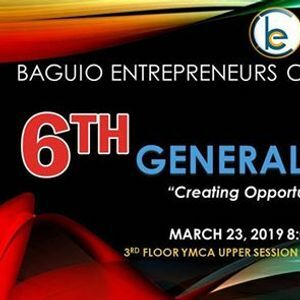 There will be a RAFFLE, GIVEAWAYS and FREEBIES for those who will attend!